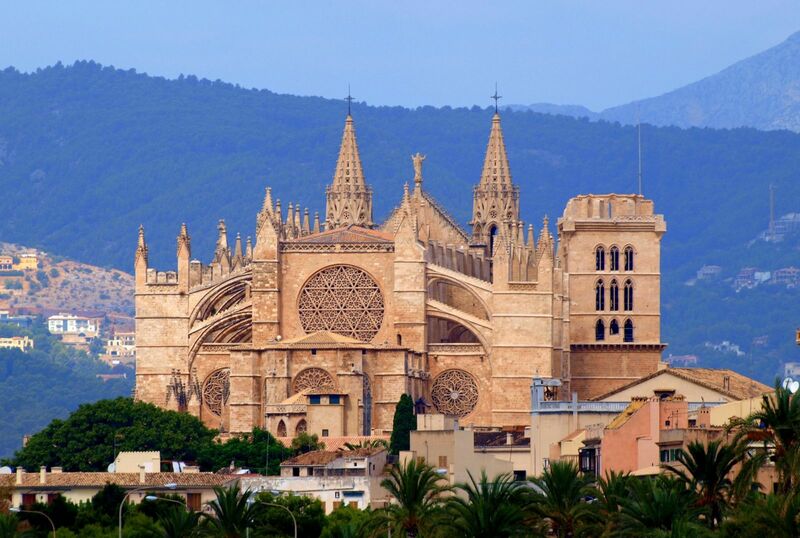 Palma de Mallorca is located on the South coast of the island Mallorca, part of the Balearic Islands. It is the largest city and capital of the archipelago. The city is surrounded by a big mountain range, considered a world heritage site, on its north and west side and due to its location in the middle of the Mediterranean, the city enjoys warm ­but not too hot­ summers and very mild winters. Palma de Mallorca is a historic city with a lot of Roman remains, but also its Moorish past is still visible. An interesting example is the famous La Sea, a cathedral built on top of an original mosque. Walking from this cathedral you enter the old city behind it, a pedestrian area consisting out of many tiny, winding streets. Of course, being an island city, also sun, sea and beach life are offered. Time can be happily spent along the coast and in the harbor. Due to the crisis, a lot of houses in Palma de Mallorca are repossessed by banks. These villa’s and apartments are now in forced sale. This gives you the opportunity to buy your perfect home on a Spanish island for a very profitable and affordable price. Here you find an overview of all bargains in Palma de Mallorca.